MILLER’S KARATE STUDIOS IS A MARTIAL ARTS SCHOOL THAT HAS BEEN TEACHING THE KOREAN ART OF MOO DUK KWAN TANG SOO DO IN THE CINCINNATI AREA SINCE 1978. MOO DUK KWAN STANDS FOR “SCHOOL OF STOPPING AGGRESSION”. MKS FOCUSES ON SELF-DEFENSE AND MENTAL ATTITUDE. SINCE IT’S INCEPTION, MKS HAS INSTRUCTED SEVERAL STUDENTS IN THE ART OF SELF-DEFENSE. SELF-DEFENSE INCLUDES PHYSICAL AS WELL AS MENTAL TRAINING. THESE TWO TRAINING SKILLS PUT TOGETHER A STRONG AND COMPLETE FORCE THAT ANYONE CAN USE. IN OUR EVERYDAY LIVES WE OFTEN FORGET THE VALUE OF EXERCISE TO BOTH OUR PHYSICAL AND MENTAL HEALTH. THE PRACTICE OF KARATE TONES THE BODY, DEVELOPS COORDINATION, QUICKENS REFLEXES, AND BUILDS STAMINA. ALSO, THE SERIOUS PRACTICE OF KARATE DEVELOPS COMPOSURE, A CLEARER THOUGHT PROCESS, DEEPER INSIGHT INTO ONE’S MENTAL CAPABILITIES, AND MORE SELF CONFIDENCE. IN THIS, KARATE IS NOT AN END, BUT A MEANS TO AN END. IT IS AN ACTIVITY IN WHICH ADVANCING AGE IS NOT A HINDRANCE. RATHER IT ENCOURAGES PROFICIENCY IN THE KEEN COORDINATION OF MIND AND BODY. 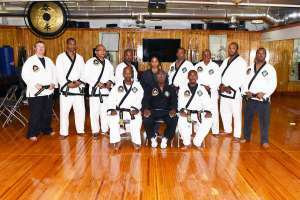 MILLER’S KARATE STUDIOS CURRENTLY HAS SEVERAL ACTIVE INSTRUCTORS. EACH INSTRUCTOR BRINGS THEIR OWN UNIQUE STYLE TO OUR ORGANIZATION. GRAND MASTER NATHANIEL MILLER IS THE FOUNDER OF MKS. 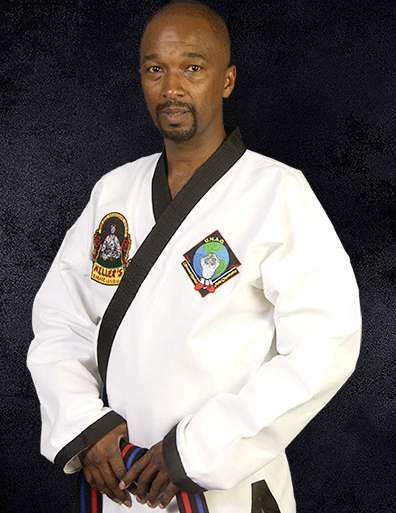 HE HAS OVER 35 YEARS EXPERIENCE IN SEVERAL DIFFERENT STYLES OF MARTIAL ARTS INCLUDING TANG SOO DO, KOBODO, JUDO AND BALINTAWAK. MASTER MARTESS MILLER IS A 4TH DEGREE BLACK BELT. 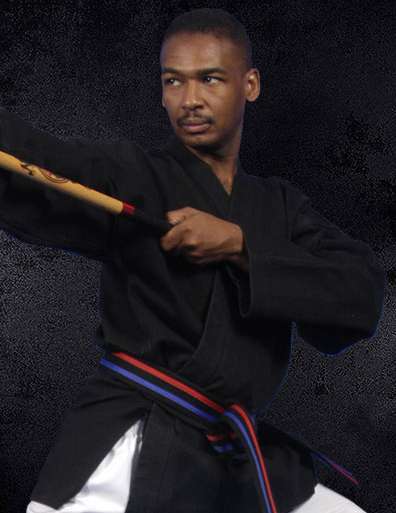 HE HAS 24 YEARS EXPERIENCE IN SEVERAL STYLES OF MARTIAL ARTS INCLUDING TANG SOO DO, KOBODO, JUDO, AND BALINTAWAK.